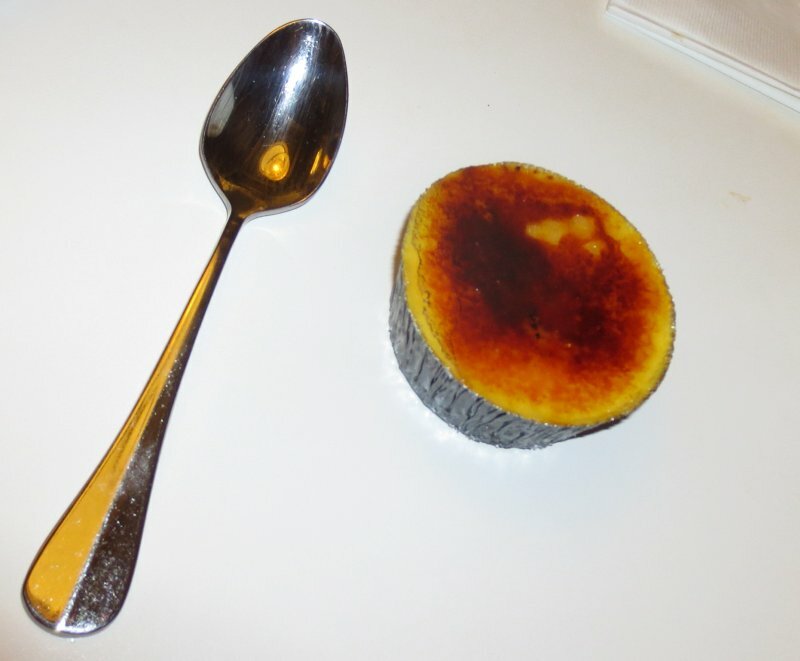 One item we regularly enjoy at our favorite buffet in the City of Saint Louis is the dessert Crème brûlée. Until recently, it was served in tiny ceramic bowls. They were not exactly regulation ramekins, but clearly more durable and stackable. But the last time we visited the River City Casino Great Food Exposition, the still-credible delectable was served in disposable (ideally recyclable) aluminum cups. After I finished the contents, I stared into the empty cup and a memory surfaced from decades ago: Back in my college daze, I would meet a friend in one of the student lounges a couple of times a week. Back then smoking was still common, so they had disposable aluminum ash trays on every table. When I got a clean one, I exercised my nervous fingers by reproducing a shape that I’d learned to make in silversmithing classes. I’d studied directly under Heikki Seppa and under some of his students. One of his masters level exercises was to make what he called an “HPX” or Hyperbolic Paraboloid Extension. One that the master himself made is in the Bainbridge Island Museum of Art, shown to the right. It is an object of pure anti-clastic curves, where perpendicular lines on the surface curve away from each other, like a saddle or the McDonnell Planetarium. The opposite kind of surface is called synclastic, like a ball or bowl. Working with a disc of silver or copper, one hammers and folds it to gradually compress the metal in the center in the hardest possible direction, so that the center thickens and the edges curve over. You end up with a fairly unusual shape of no practical utility at all, but fun to fiddle with. So I wiped off most of the remaining custard and began to play, encouraging edges around and surfaces to collapse. I was surprised how quickly I got the shape to form, given the 30 years since my last attempt. Anyway, this is how I made today’s Object at Hand, seen below. Feel free to try it yourself, the next time you find yourself with a foil dish, bowl, or cup. I incorporated a copper HPX as part of a sculpture that won First Prize in a Science Fiction convention art show way back when. My title is probably what they truly were awarding, “Creature of Improbable Genetic Ancestry Examining Object of Improbable Geometric Ancestry.” Thus the title of this post. It might serve no utilitarian purpose but it’s aesthetically a delight.